EXPLORE THE WILD SIDE OF ICELAND! 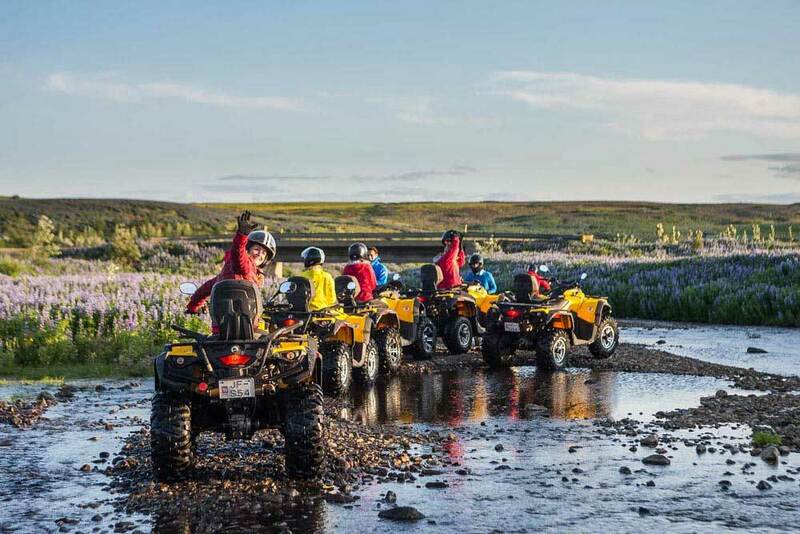 Iceland is the perfect playground for ATV and Buggy tours. With acres of wild terrain, open fields and remarkable landscapes, “The Land of Ice and Fire” is an adventure enthusiast’s dream! Visitors to Iceland can venture up and down mountain tops, traverse lava fields, cross icy rivers and ultimately enjoy exquisite views of the country’s beautiful and majestic scenery. Why not combine your motorised adventure with some of our other exciting tours; rafting, caving, horse riding and super jeep combo tours are all available! Explore the Golden Circle attractions, then head across the countryside for a really thrilling and adrenaline-pumping buggy ride through the outback. Super Jeep combo tour. 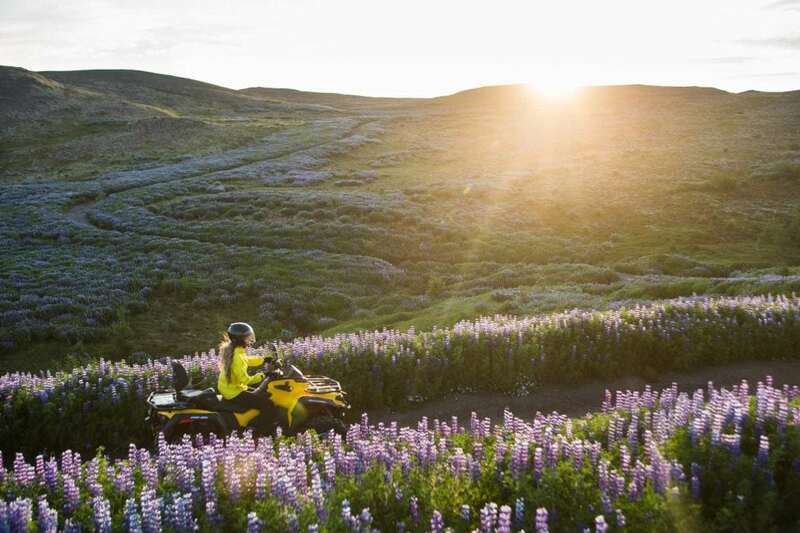 Most ATV and Buggy tours are carried out close to Reykjavík, making it easy for visitors based in Iceland’s capital city to enjoy a tour as a day trip. You can make your own way to the ATV base or arrange a transfer from the city. 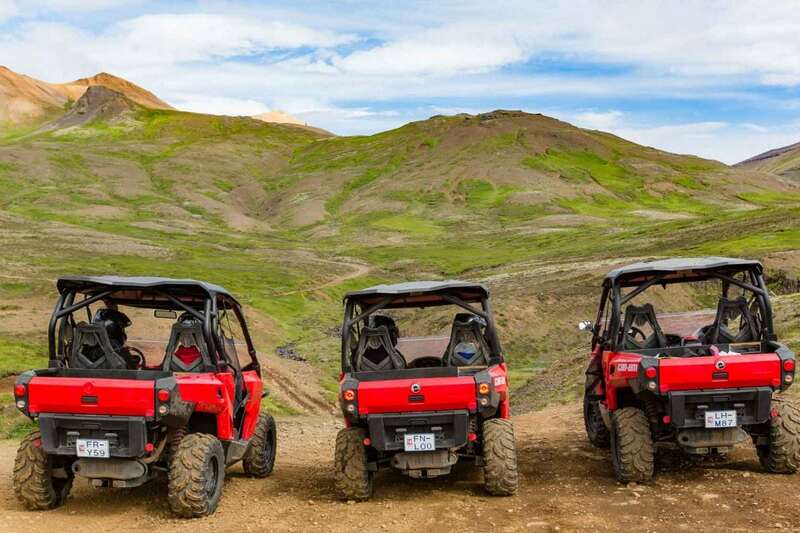 Feel the power at your fingertips as you head deep into the mountains on a conquest of rugged trails and lava fields! Want more action? 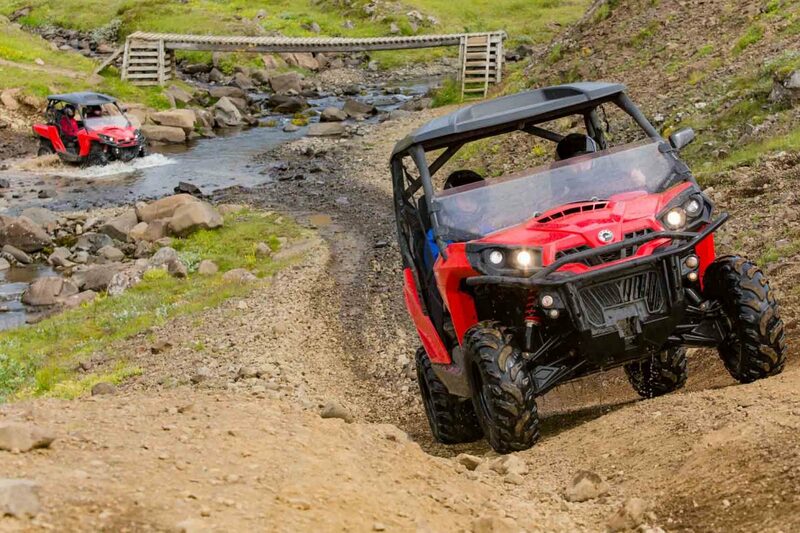 Off-roading, river-crossing, dirty and powerful, this is not a tour for the faint-hearted! Full 3 hours on a quad bike in perfect surroundings. 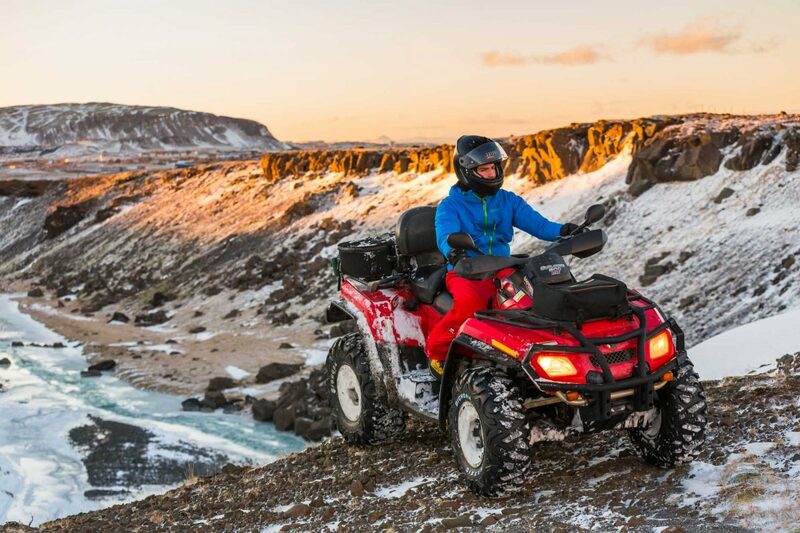 Get extreme in your Iceland sightseeing ways. 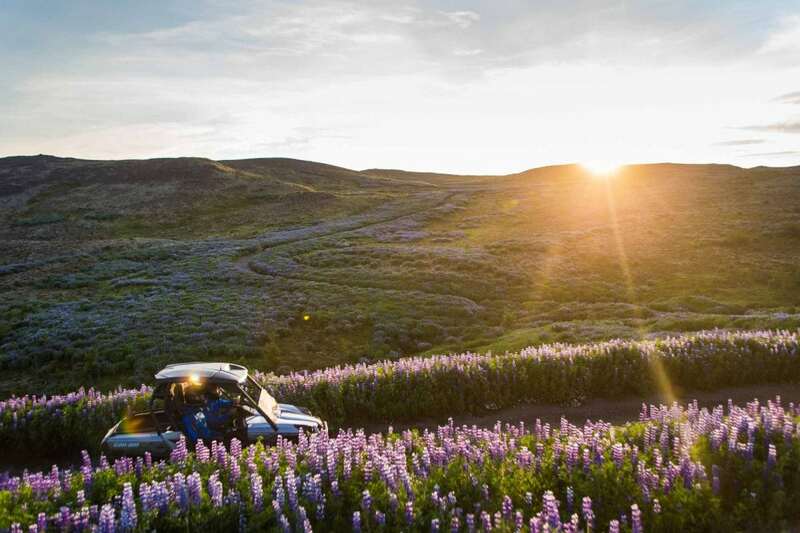 Try a 2-person buggy ride to get the most stunning Reykjavík views. An exciting 3-hour Buggy ride around the extraordinary Hellisheidi Geothermal plant! Want more action? 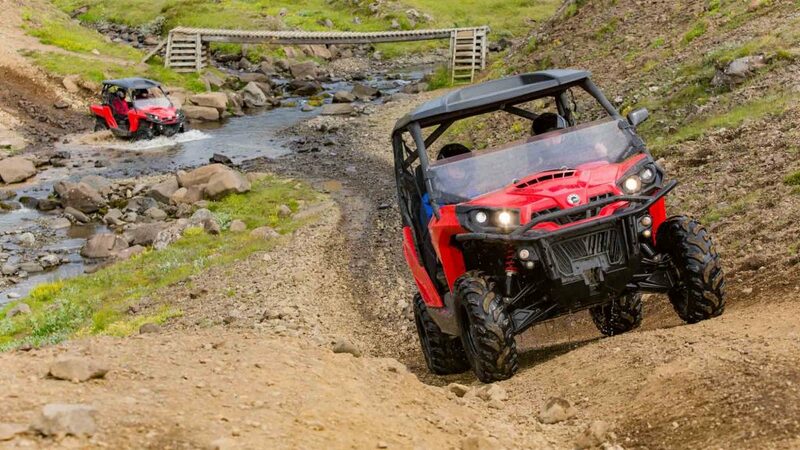 Off-roading, river-crossing, dirty and powerful, this is not a tour for the faint-hearted! 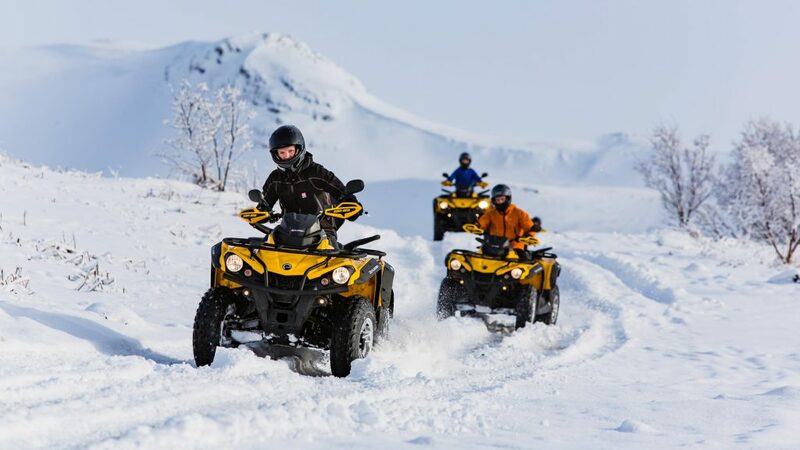 Arctic Adventures’ ATV and Buggy tours give you an adrenaline rush and buzz of excitement like no other, all the while knowing you’re in safe hands with our experienced guides and instructors. Want to learn more about our wide range of quad biking and off-road buggy tours? Read on to discover more! 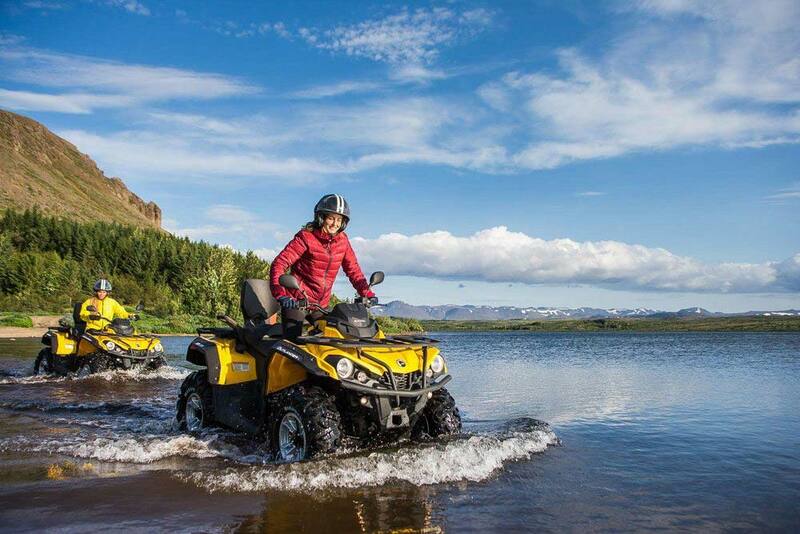 Why Should I Take an ATV or Buggy Tour in Iceland? There are many great reasons why you should book an ATV or Buggy tour while in Iceland. You get a full 360-degree view without any obstructions. As any visitor to Iceland will tell you, the scenery is simply stunning. 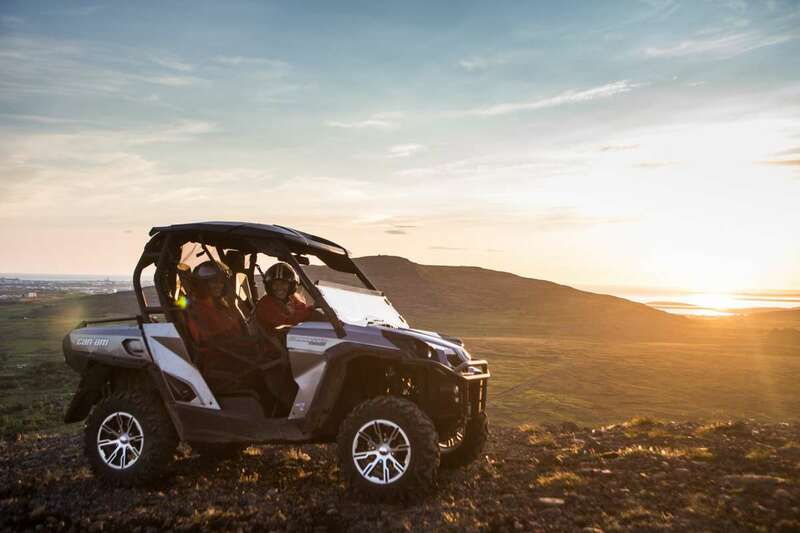 One of the big benefits of an ATV and Buggy is that you won’t be enclosed inside a bus or car trying to peek out a window and putting up with obstructed views and restricted angles. You can see so much in a short space of time. Our tours will take you past hot springs, geysers, volcanoes, lava fields, freshwater lakes, fields of lupins and mountain ranges, all just a short drive away from Reykjavík. There are not many places where you can’t take an ATV. This means visitors will be able to explore remote corners of the country which aren’t easily accessed by other means of transport, such as mountains and rivers, with ease. Arctic Adventures follow strict safety rules. We pride ourselves on going out of our way to make sure everyone feels safe and comfortable during their tour. ATV and Buggy tours are very family friendly. Children as young as six can partake in most of the excursions. 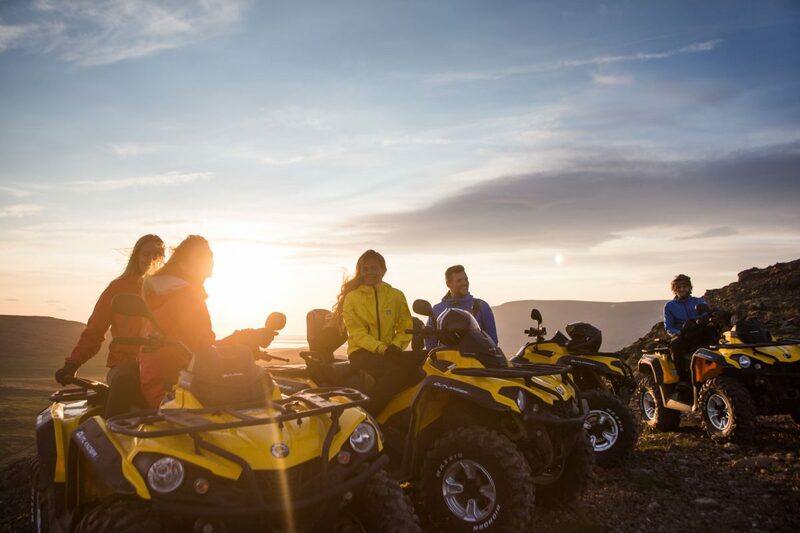 Our ATV and Buggy tours have the perfect balance of adrenaline, freedom, and beautiful scenery, making them fun for all the family. Prepare for an adventure of a lifetime! What Does ATV Stand For? ATV stands for All Terrain Vehicle. They are also called quads, quad bikes, three-wheelers, four-wheelers or quadricycles. 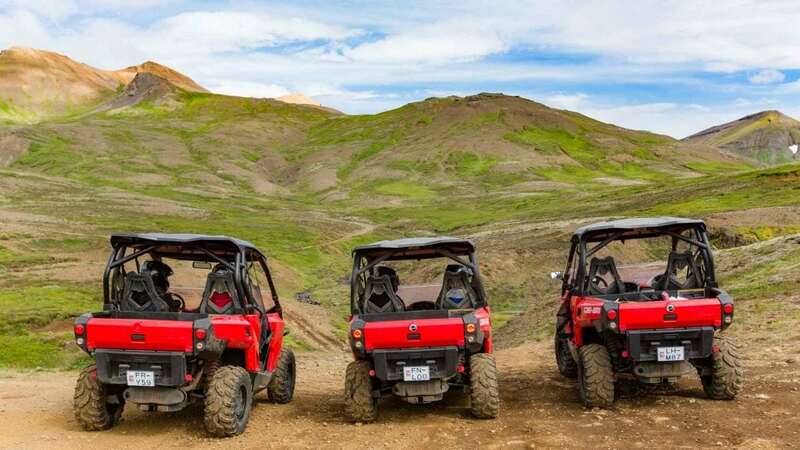 As those names imply, there are several different types of ATVs to choose from, but they all have one very important thing in common; they’re all a lot of fun to take a ride on! When you arrive at your chosen ATV base camp, your guide will provide you with all of the proper gear and safety equipment that you need. They will then give you a safety briefing on how to handle the vehicle and what you can expect during the adventure ahead. The tour will take you on epic trails, mainly muddy ones, which involve circling stunning lakes and crossing over gorgeous rivers. Despite only being a short distance from the capital, you’ll discover a slice of natural paradise within sight of Reykjavík. 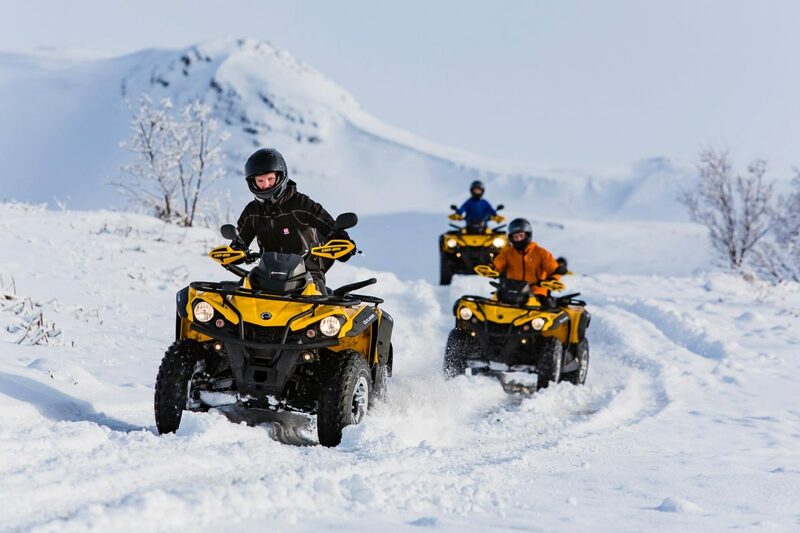 ATV tours are available all year round, regardless of most weather conditions. 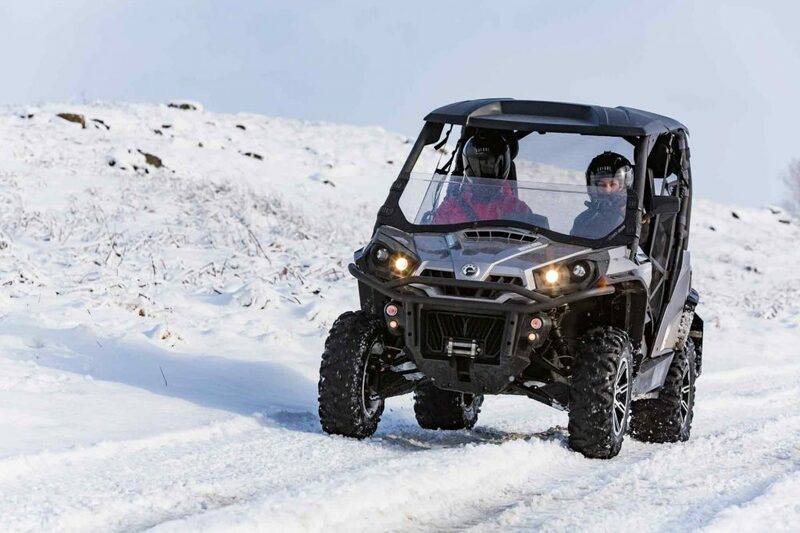 The vehicles and tours are designed to provide equal delight whether you’re driving through green fields in the summer or plowing through the snow in the winter. Whenever you choose to book your tour, we’re sure you’ll have an outstanding, full-throttle adventure! As we’ve mentioned previously, most of our tours happen within striking distance of Reykjavík. 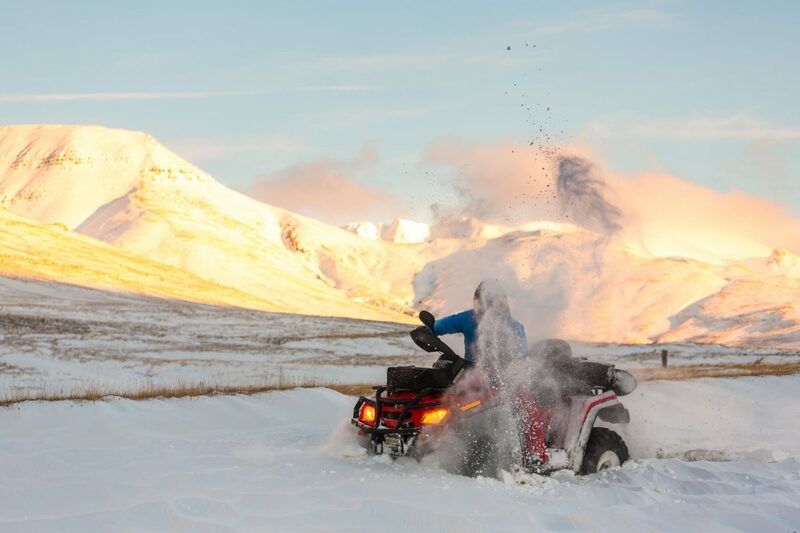 Our one hour Mountain ATV Tour is one of our most popular quad bike tours for tourists who are taking a short break in Iceland and want to try out as many different things as possible in a limited amount of time. The tour starts in a location about 15 minutes’ drive away from Reykjavík city center and takes customers to the top of Hafrafell Mountain, where drivers will have a spectacular view over the city and the Mount Esja. For those who crave a little extra adventure and adrenaline, one of our longer ATV Tours could be the perfect option for you. 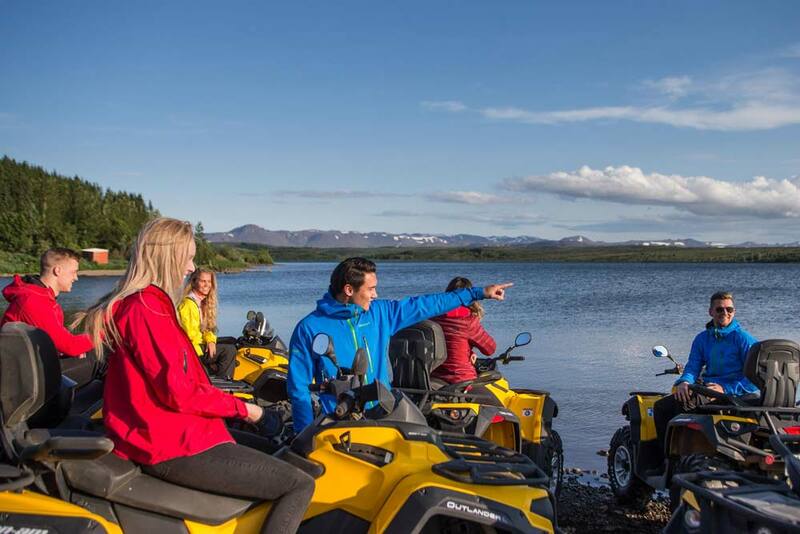 The Mountain Cruiser Tour, for example, is two-hours long and perfect for the whole family or a group of friends to get to know the Icelandic countryside. 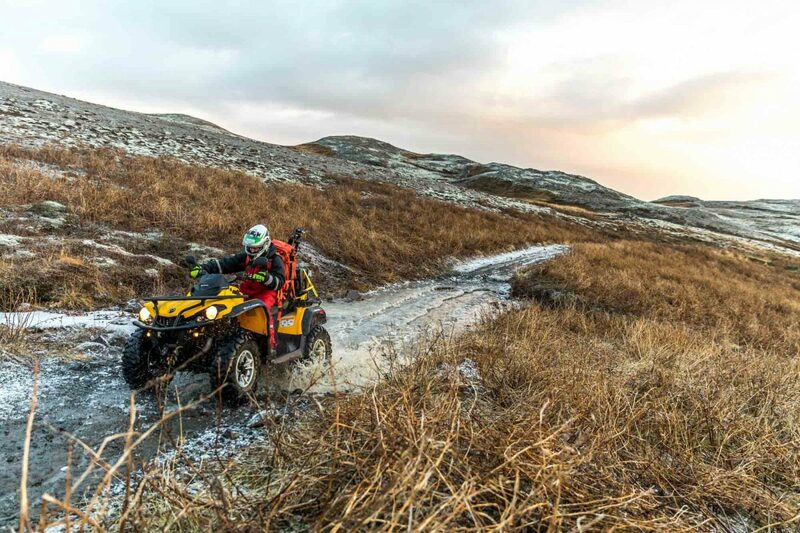 The three-hour Volcanic Springs is an off-road endurance test suitable for people who have prior experience in driving quads. On these tours, you’ll go off the beaten track, drive over gravel roads, muddy terrain and cross rivers to get to the most isolated and beautiful parts of the country. Despite being just outside the city, you’ll feel like you’re in the middle of nowhere. The tours include driving up Mount Úlfarsfell, where you can enjoy a million-dollar view over Reykjavík city, the nearby bay area and surrounding mountain range – what more could you want to see? A Buggy is a recreational vehicle with large wheels and wide tires designed to be driven on sand dunes, beaches and desert recreations, making it perfect for the Icelandic landscape. Typically, a buggy is a light, nimble vehicle without any windows or hard roofs. They usually have space for two passengers, with one driver’s seat. After arriving at the Buggy base camp, you will be greeted by your expert Arctic Adventures guide who will give you the instructions to operate the vehicle and brief you on some important safety procedures. Next, you grab your helmets, overalls, hop into a Buggy and start your adventure! 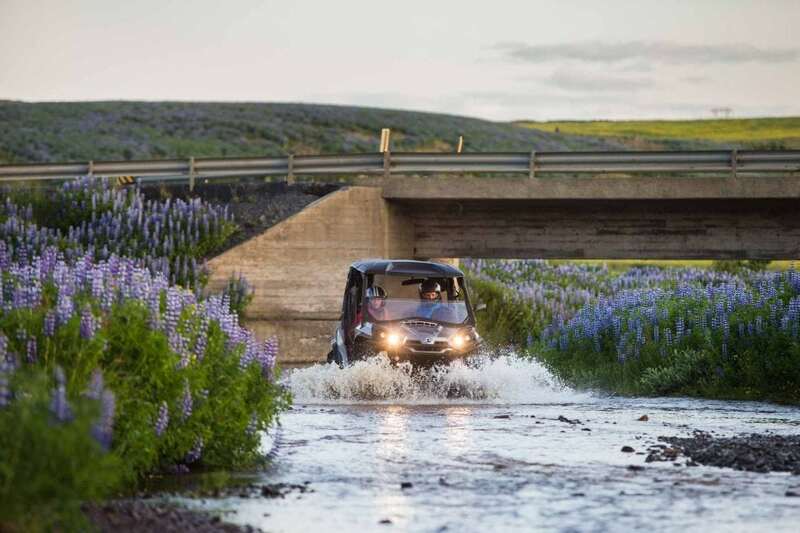 Behind the wheel of a Buggy, all terrains are fun to cross, but mix in Iceland’s diverse and unpredictable landscape, and you’re in for the drive of your life. Be sure to take time to stop and look at the incredible views, and even get some mud on your shoes, as you make your way around Iceland’s incredible valleys. Riders should prepare for an action-packed ride with memorable vistas! 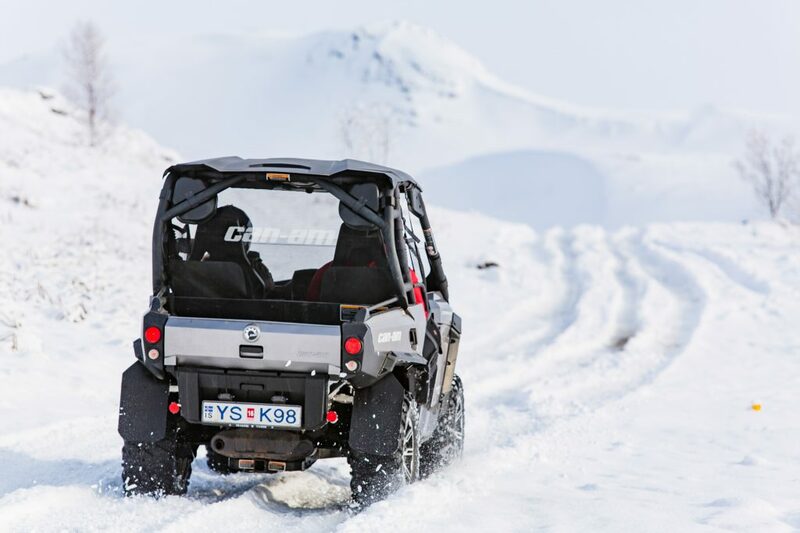 Arctic Adventures offer several Buggy Tours near Reykjavík, making them an ideal option for anyone looking for tours near the city, which take in the surrounding mountains. Our One-Hour Buggy Safari is a great option for anyone new to Buggy driving. Over the course of an hour, drivers will take in the stunning Icelandic nature, visit Hafravatn and Mount Hafrafell, before returning to base camp. For those who want something more challenging, our Buggy Extra Tour is a great option for adrenaline-junkies. Criss-crossing Iceland’s moonlike landscape, you’ll drive through arctic streams and challenging terrain. During the winter months, you’ll get to enjoy the snowy conditions, which only add to the fun! Bear in mind though, that only experienced drivers should take part in this tour during the winter months, as the conditions can make things fairly challenging! What could be more fun than a Buggy ride over an active geothermal area? Our Buggy Extreme 3-Hour Ride is the very definition of adventure and suitable for anyone who has nerves of steel! The tour includes a visit to Hellisheidi Geothermal Plant, where you’ll be able to learn all about green energy and how it’s produced in Iceland. The tour’s trails are great fun and offer riders beautiful views and challenging landscapes in equal measure. What Should I Wear on My Quad Bike / Buggy Tour? Arctic Adventures will provide you with a warm overall suit, rain gear (if needed), a balaclava, helmet and gloves. However, we recommend that all customers wear warm layers underneath. ATV and Buggy tours take place in a variety of weather conditions. During summer or sunny days, wearing overalls can get quite warm, so thin layers of active wear (T-shirts and some leggings or pants) are advised. On cold days or during the winter months, you should wear geothermal underwear, lots of layers (wool is recommended), warm socks, thick pants and a comfortable sweater. Closed shoes are always recommended, no matter what the weather is like, as you’d never know when you’ll hit a puddle or a stream, and wet feet is the last thing you need while on your arctic adventure!! Do I Need a Driver’s License to Drive a Buggy or ATV? The driver will need to have a valid driver’s license from their home country. You will sign a liability form before the tour, stating that you possess a valid driver’s license. The passenger is not required to have a driver’s license. Do You Need a Special Motorcycle or Scooter License? No, you don’t need to have a specific motorcycle license, a regular driver’s license is enough to be able to join the tour. What is The Minimum Age to Book an ATV or Buggy Tour? The youngest age that someone can join a tour (as a passenger) is 6. Do the Tours Offer Pick Up or Do I Need to Get There Myself? You can add a pickup to your tour for a small extra cost and a guide will pick you up before the tour. The pickup locations are usually set up at Reykjavík’s main hotels, hostels and bus stops. It’s possible to see the list of pick up locations when you make your online booking. With a huge range of all sorts of adventure tours to choose from, it can be a bit tricky to decide on which ones to choose. Fortunately, Arctic Adventures is happy to help you plan your vacation. Contact us today to organize your trip and begin your adventure!